Rear Extension Ideas | Open Plan Or Divided? Forget planning permission, forget building regulations, forget paperwork… for now, let’s have some fun and get stuck into brainstorming what your new space could look like! There are so many options for how your rear extension could be used - we’ll take you through a couple of them. 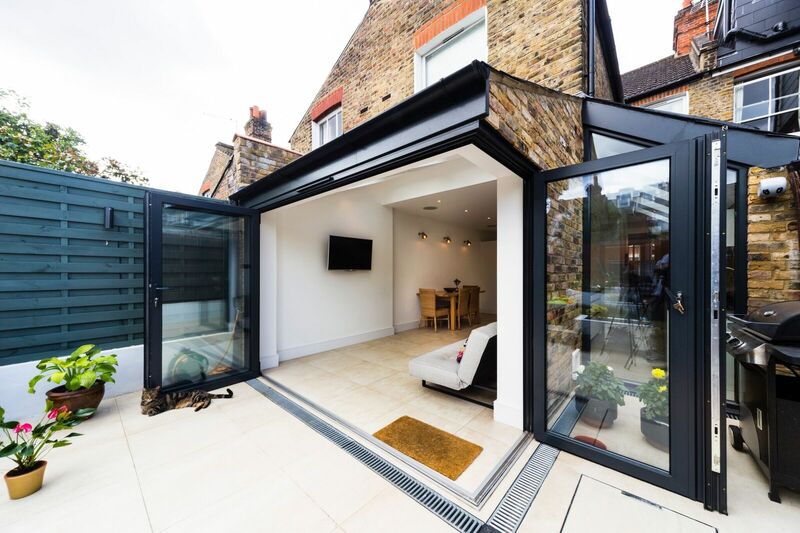 Top tip: For a rear extension, it’s important to think about how to create a seamless transition from the new space to both the inside, and the out. This can be achieved by good layout planning (bring an architect on board to help you with this! ), and matching the interior design, such as floorboards, panelling, etc, to the existing design. Similarly, you have to consider the exterior view, by choosing materials that will blend in with your current home. This is the most common use of a rear extension, and for a reason. Gone are the days of kitchens being used solely for food and cooking, they are now multipurpose spaces representing the heart of the home. For this reason, it’s so important to make sure your kitchen is the best it could possibly be. The first question you’ll have to ask yourself is: open plan, or divided layout? While open plan is the most popular option amongst homeowners, if not designed properly it can seem like an empty expanse. However, if you get a good architect on board, they can make this layout work for your rear extension. At Resi, we love the look of adding in a central island in order to break up an open plan space. While it can be easy to get wrapped up in the recent trend of glazing, glazing, and more glazing, it’s important to consider that the more you go for, the more your budget will have to increase. Glazing does not come cheap. However, don’t fear, there are ways to get around this - you won’t have to live in the dark! For example, instead of fitting a glass ceiling (which can be very costly), why not go for a line of skylights instead? This will provide plenty of natural light, whilst maintaining your budget. Typically, bathrooms have the potential to add 4-5% on to the value of your home, so if you’re using your rear extension to house a new bathroom, you’re making a good investment. However, this value can go down, or even become negative, if your new bathroom is badly designed. Let’s try and avoid this! If you’ve got a well designed bathroom, you don’t need to break the bank in order to create a great new space. Good style doesn’t need to cost the earth. For anyone who loves to burn the midnight oil, an office space can be a great option for your rear extension. There are many design ideas to consider if this is the option you’re going for. One of our favourite features here at Resi is hidden storage. Not everyone is able to adapt the space in order to achieve this, but if you consult an architect they can help you discover how to do so. Clever storage solutions can range from unique bookshelves to fit the shape of your room, to storage boxes that double up as benches. If you’ve got an office, you’ll almost definitely have a desk. Our top tip here at Resi is to make sure that this desk is placed facing out towards the garden, directly below a window; if you get bored of sifting through paperwork, take a break and watch the kids play hide and seek. This layout will make you more productive. A playroom can be a bit of a luxury addition, but if you’ve got the space available to you, then there’s no reason this isn’t a great use for your new room. It’s important to remember that, as much as you may want them to, your kids won’t stay kids forever. While it’s great to give your playroom a childlike touch, you have to remember that eventually you may want to convert this room into a study or guest bedroom for when it stops being used as often. Therefore, it’s best to avoid adding features that will make this impossible in the future. If you're thinking of extending your home, book a free advice call with one of our experts here at Resi. Kitchen renovations to get you hungry for more!